Would you like to play classical guitar, but don’t know where to start? Would you like a guide that not only helps perfect technique, but teaches you to play achievable, complete pieces? 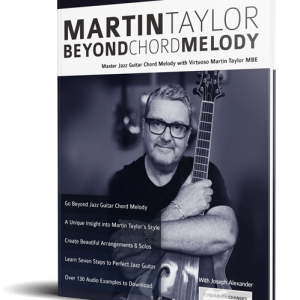 Want to discover the simple golden rules of classical guitar playing? 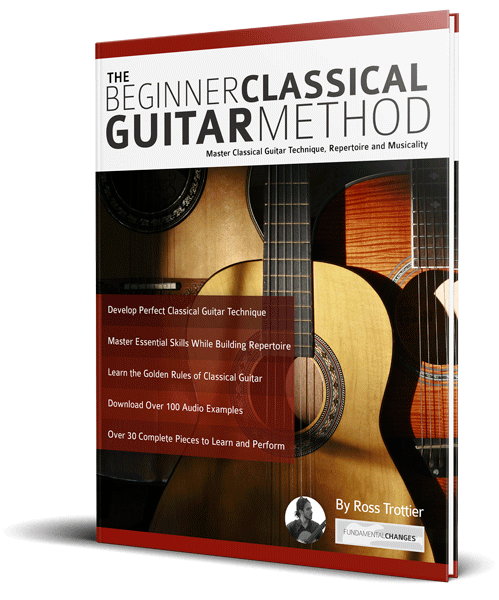 The Beginner Classical Guitar Method is a clear, concise guide to perfecting classical guitar technique. Included are helpful warm-up exercises, including melodies and arpeggio work-outs. After working on technique, readers are guided through a series of etudes, examples illustrating specific techniques and over 30 complete pieces to play. Perfectly notated examples with tab, and studio-quality audio to download for free. The Beginner Classical Guitar Method is not a sterile list of instructions and exercises to tick off. Written by accomplished player and teacher Ross Trottier, this book communicates his passion for the classical guitar repertoire, and provides expert insight into these timeless pieces. 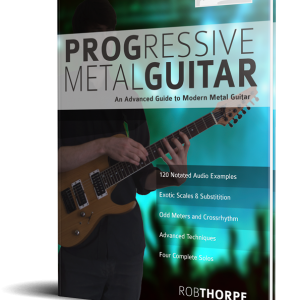 With Ross’ guidance, the 30+ etudes in this great resource come to life. 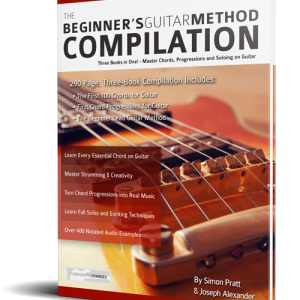 The Beginner Classical Guitar Method contains over 100 supporting audio examples, so you can hear exactly how each piece should sound. 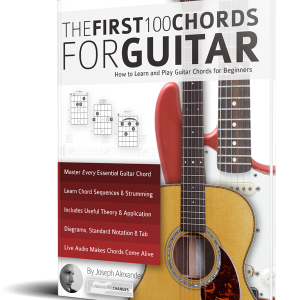 Buy it now to begin crafting your classical guitar skills.